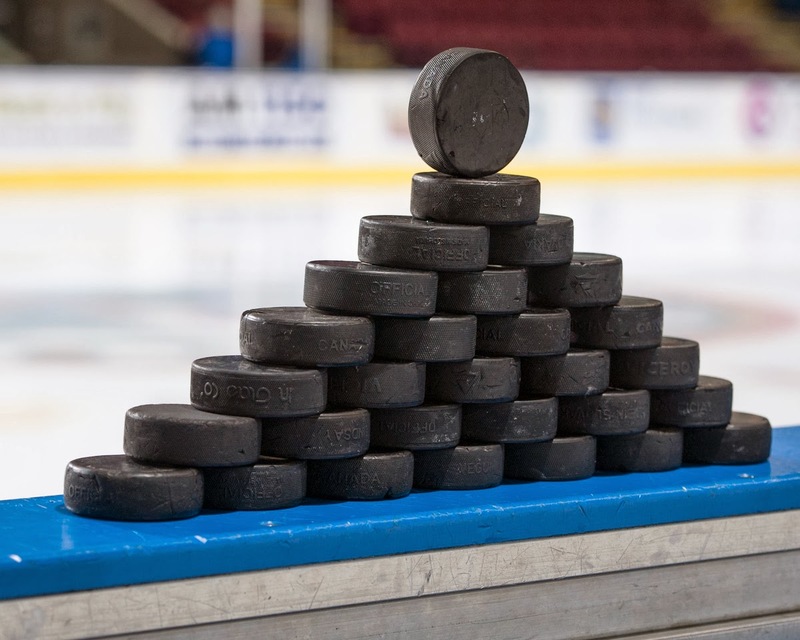 Tonight’s Preview: The Kelowna Rockets have won seven of their last eight games heading into a date with the Vancouver Giants tonight at Prospera Place. The Rockets are 3-1-0-0 in the eight game seasonal series and will meet the Giants four times in the final 9 games of the regular season. The two teams meet tomorrow night in Vancouver and then close out the regular season with a home and home series March 14th and 15th. Overall, the Rockets have out-scored the G-Men 14-11. The Rockets are coming off a 4-3 shootout win in Tri City Wednesday night. Myles Bell scored the game winner and also responded with his 40th goal of the season. Marek Tvrdon added two goals in the teams’ 50th win of the season. Following tonight’s game the Rockets are in Vancouver tomorrow night before traveling to Everett on Tuesday. 50 Shades Of Grey: For the first time in franchise history the Kelowna Rockets are enjoying back-to-back 50 wins seasons. The Rockets had 52 victories last year, which is a franchise record. With nine games left the team can eclipse that total. With four road games left in the regular season the hockey club can set a new WHL record for road wins if they win all four games. The Rockets have 26 road wins while the league record is 29 wins on opposition ice. Race to 100: For the first time in franchise history the team earned 100 points in back to back seasons. Last season the team had 108 points. This season they have 104. The last time the franchise came close was in 2002-2003 when the team accumulated 109 points but then fell shy with 98 points in 2003-2004. Only four times have the Rockets earned 100 points or more. The facts on 1st place: The Rockets lead the Portland Winterhawks by 7 points for first place in the WHL standings. The Rockets have 9 games left while the Winterhawks also have nine. Portland plays five of its’ final 9 games on home ice. Of those nine games, four are against arch rival Seattle. Six of the Rockets last 9 games are against teams in the BC Division. Who’s Hot: Nick Merkley has points in eight of his last nine games. The 16 year-old has 6+5=11 over that period. Marek Tvrdon has 13 points in his last nine games (5+8=13). Damon Severson has points in eleven of his last fourteen games…Myles Bell has 19 goals in his last 25 games….The Rockets are 44-5-0-4 in their last 53 home games dating back to last season. This and That: Marek Tvrdon plays against his old team for the first time. Tvrdon played 90 games with the G-Men…Myles Bell became the first player since Geordie Wudrick to score 40 or more goals in a season. Wudrick had 43 in 2010-2011….The Rockets have five more wins on the road than the 21 they had all of last season…Of Myles Bell’s 40 goals this season, 22 have been scored on the road with 18 coming on home ice…The Rockets are 8-5-0-0 in their last 13 road games…The Rockets are 6-1-0-2 in their last 9 home games…The Rockets are 17-4-0-2 since the WHL trade deadline.…The Rockets have been involved in 10-one goal games on home ice this season…Cole Martin is +101 over the last two seasons…The Rockets have 9 games left in the regular season. Five are on home ice with four on the road…The Rockets have scored six or more goals ten times on home ice this season… The Rockets are 15-4-0-0 in the second game when facing back-to-back scenarios this season….The team has been rated as the best team in the CHL according to the Top 10 junior rankings for a 9th consecutive week….After losing two of his first three games, Jackson Whistle has won fifteen of his last sixteen games and is riding a personal 8 game winning streak….The Rockets have played in 9 shootout games this season and are 5 and 4. Four of the five shootout wins have come on the road in Tri City, Victoria, Prince George and Seattle…Jordon Cooke is 42-6-0-3 at home in last 51 starts at home dating back to last season…The Rockets have scored 4 or more goals in 24 of their 33 road games this season…In 7 of the Rockets 9 regulation losses this season, leading scorer Myles Bell has failed to score. Saturday Night Live's Sally O'Malley - I'm 50! 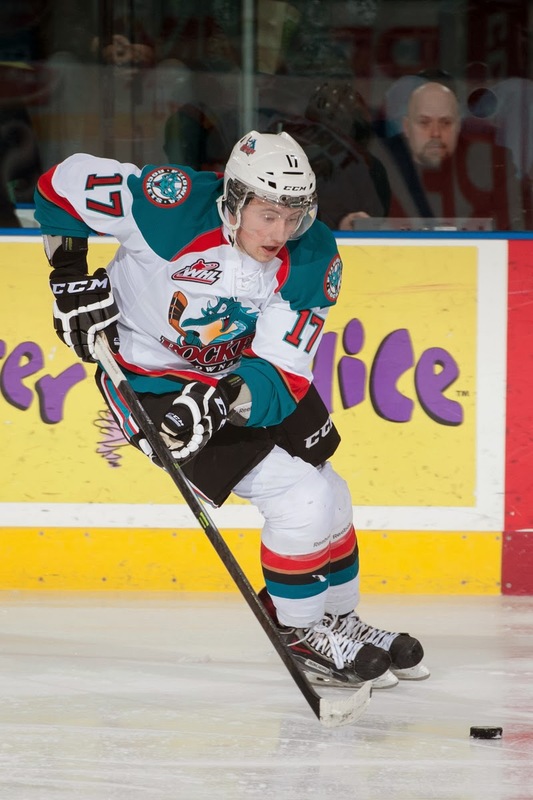 The Kelowna Rockets were expected to have a good team heading into this season. With the loss of just four players from the 2012-2013 squad that won 52 times, expectations were they could challenge for a league title. It would be safe to say 50 wins would be tough to accomplish though, especially after just 63 regular season games had been played. Last night in Tri City, Myles Bell scored the shootout winner in a 4-3 victory over the Americans. The win marked the first time in franchise history the team earned 50 or more wins in back-to-back season. With nine games left to go, the Rockets have a 7 point lead on Portland for first place in the overall WHL standings. The Rockets had to use late game heroics in this one after building up a 2-0 first period lead. Marek Tvrdon opened the scoring and then Myles Bell found the back of the net with his 40th of the season which put the road team in a comfortable position. The Americans had other ideas though. Three unanswered goals had the home team with the lead late in the third period until Tvrdon scored his second of the game to send this one into overtime and the eventual shootout. The Rockets are a perfect 4 and 0 on the road in the shootout. At home they stink with only one win in five shootout games. Bell's goal in regulation time came shorthanded. The 20 year-old is the first player since Geordie Wudrick to score 40 or more goals in a season. Wudrick had 43 goals. Bell has an outside shot at 50 but would have to pick up the pace with nine games left in the regular season. You would think a 45 goal season is within reach. Marek Tvrdon has obviously found his game. Playing with Nick Merkley and Rourke Chartier, the trade deadline acquisition now has 19 points in 20 games. Tvrdon has put up two solid back-to-back efforts. It will be interesting to see how he plays against his old team - the Vancouver Giants - in a home and home series this weekend. How about Cole Linaker getting into a fight? With just 12 penalty minutes heading into the game, Linaker elected to drop the mitts with 6'4 Justin Gutierrez. It was Linaker's first fight of the season and Gutierrez's 8th. The best tilt of the night came in the second period when Rockets d-man Riley Stadel fought Americans forward Rodney Southam. These two players threw some nice bombs at one another in a split decision. Did you know that Stadel has 8 fighting majors this season? Team leader Tyrell Goulbourne has 10. Jackson Whistle earned the start and recorded his 8th consecutive win. The 18 year-old, who was less spectacular than he was in a 2-1 win last Friday in Prince George, also earned his 15th win of the season, one more than the 14 he had last season. The Rockets won both games in Tri City this season. That is the first time that has happened in 11 seasons. The last time the team won both regular season games at Toyota Centre was in 2002-2003. The Rockets needed these two wins over the last two night's to take advantage of the games in hand they had on Portland. Now with nine games left to go it is a fight to the finish to see who earns the right to be declared WHL regular season champions which means home ice advantage in the playoffs. Something tells me the Rockets are going to be back in Kennewick Washington for the WHL playoffs. While only holding a two point lead on Prince George for the 8th and final playoff spot, I can't bet against a team that has Eric Comrie as their starting goaltender. The Americans, while having a tougher schedule than PG, do have three games in hand. The Rockets are now 5-16-0-0 with one tie in their last 22 regular season appearances at Toyota Centre. That just shows you how good the Americans have been on home ice over the years. In talking to Annie Fowler, the beat writer for the Americans, it was confirmed that the Tri City Herald Best of the West Poll has met its end. The poll, which allowed players, coaches/management and media to vote on several categories has been a staple for the last 25 years and has always been an interesting conversation piece. The process is time consuming and receiving ballots from teams was always a chore. Let's hope after a one year hiatus it returns next season. 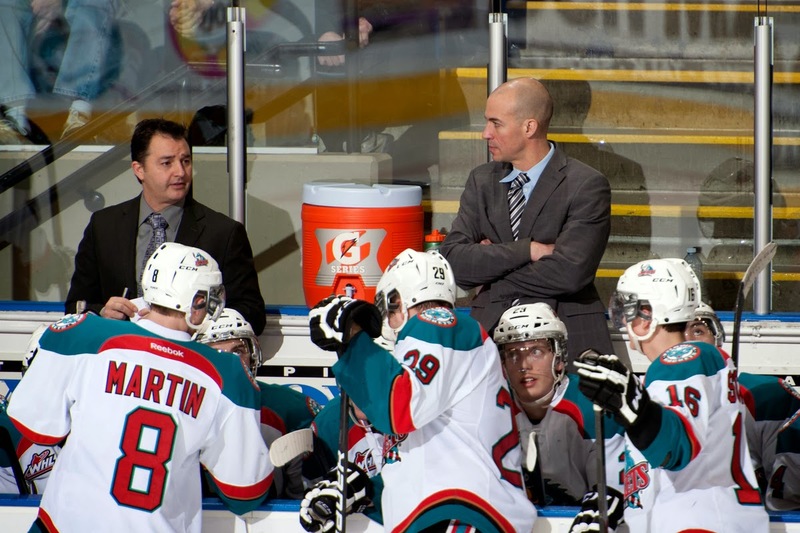 The Kelowna Rockets need to tighten up their defensive game if they hope to make a long push into the WHL playoffs. The Prince George Cougars should also take a similar path if they want to play past the end of the regular season. The two teams combined for 14 goals Tuesday night in the Rockets 9-5 win. After playing to a 1-1 tie after 20 minutes, it was a wild second period where the two BC Division rivals exploded for 9 goals. When the dust had settled, the Rockets moved five points up on the idle Portland Winterhawks for first place in the WHL standings while the Cougars remain a point back of Tri City for the final playoff spot with the Americans holding four games in hand. Why all the goals and the lackluster defensive play? My theory is this often happens when teams' meet each other several times over a short period of time. The Rockets and Cougars were playing each other for the third time in five days. When was the last time the Rockets were involved in a game where 14 goals were scored? It happened December 9/2009 in Regina when the Rockets beat the Pats 9-5. Back in the 2008/09 season the Rockets also combined for 14 goals in a 8-6 loss in Everett. Putting up 9 goals against the Cougars is huge, but not as massive as the 11-1 win in Prince George January 11/ 2008. What are the most combined goals the Rockets have been involved with an opponent? How about a 9-9 tie with the Tri City Americans October 11/1997. Brett McLean had five points. Chris Noble and Jordon Watt shared the duties in goal and had a rough night. Head Coach Marcel Comeau likely aged a bit. Tri City was 5 for 7 on the power play. The positive side in this one was the line of 20 year-old Marek Tvrdon, 17 year-old Rourke Chartier and 16 year-old rookie Nick Merkley. All three individuals are extremely quiet off the ice, but put a stick in their hands and they are the life of the party! The trio combined for 9 points. Tvrdon had a goal and three assists, Chartier had three assists and Merkley had two goals. Despite what you may have read elsewhere, Tyrell Goulbourne did not register his first career hat trick Tuesday night. The 19 year-old managed a four goal game last season. In a game that featured 14 goals, you would think Rockets' leading scorer Myles Bell and second leading point getter Ryan Olsen would have played prominent roles. Bell chipped in with a lone assist while Olsen failed to hit the score sheet. Olsen sat in Coach Huska's doghouse for the majority of the second period and didn't see the ice after taking a double minor which resulted in a power play goal against. That goal gave the Cougars a fighting chance even though the visitors found themselves down 4-1 after three quick goals which eventually chased starting Prince George goaltender Ty Edmonds. I hate to correct people and I often need correction myself, but the Cougars win last Saturday over the Rockets did not snap a 13 game losing steak against their Okanagan rivals. The Cougars beat the Rockets last season at the CN Centre by a 6-3 score. The only streak that came to an end last Saturday was the Rockets 6 game winning streak at the CN Centre. The Rockets immediately after the game boarded the bus where they meet the Americans in Tri City tonight. Tonight’s Preview: The Kelowna Rockets have won five of their last six games heading into their third straight meeting with the Prince George Cougars. The two teams split a weekend series in Prince George with the Rockets winning Friday night 4-2 before the Cougars responded with a 2-1 victory a night later. The Rockets are 6-1-0-0 in the seasonal series but four of the seven games have been decided by a single goal. The Rockets are playing four games in five nights. Following tonight’s game the Rockets are in Tri City tomorrow before welcoming Vancouver on Friday. The Rockets are in Vancouver Saturday night. Race to 100: For the first time in franchise history the team earned 100 points in back to back seasons. Last season the team had 108 points. This season they have 100. The last time the franchise came close was in 2002-2003 when the team accumulated 109 points but then fell shy with 98 points in 2003-2004. Only four times have the Rockets earned 100 points or more. The facts on 1st place: The Rockets lead the Portland Winterhawks by three points for first place in the WHL standings. The Rockets have 11 games left while the Winterhawks have nine. Portland plays five of its final 9 games on home ice. Of those nine games, four are against arch rival Seattle. Seven of the Rockets last 11 games are against teams in the BC Division. Who’s Hot: Nick Merkley has points in six of his last seven games. The 16 year-old has 4+4=8 over that period. Marek Tvrdon has 7 points in his last seven games (2+5=7). Damon Severson has points in ten of his last twelve games and had his nine game point streak snapped Saturday night in Prince George. Myles Bell has 18 goals in his last 23 games….The Rockets are 43-5-0-4 in their last 52 home games dating back to last season. This and That: The WHL record for road wins is 29. The Rockets have 25 road victories, a franchise record. The previous mark was 24 road wins in 2003-2004…Myles Bell is trying to become the first player since Geordie Wudrick to score 40 or more goals in a season. Wudrick had 43 in 2010-2011….The Rockets have four more wins on the road than the 21 they had all of last season…Of Myles Bell’s 39 goals this season, 21 have been scored on the road with 18 coming on home ice…The Rockets are 7-5-0-0 in their last 12 road games…The Rockets are 5-1-0-2 in their last eight home games…The Rockets are 15-4-0-2 since the WHL trade deadline.…The Rockets have been involved in 10-one goal games on home ice this season…Cole Martin is +99 over the last two seasons…The Rockets have 11 games left in the regular season. Six are on home ice with five on the road…The Rockets have scored six or more goals nine times on home ice this season… The Rockets are 14-4-0-0 in the second game when facing back-to-back scenarios this season….The team has been rated as the best team in the CHL according to the Top 10 junior rankings for a 8th consecutive week….After losing two of his first three games, Jackson Whistle has won fourteen of his last fifteen games….The Rockets have played in eight shootout games this season and are 4 and 4. Three of the four shootout wins have come on the road in Victoria, Prince George and Seattle…Jordon Cooke is 41-6-0-3 at home in last 50 starts at home dating back to last season…The Rockets have scored 4 or more goals in 23 of their 32 road games this season…In 7 of the Rockets 9 regulation losses this season, leading scorer Myles Bell has failed to score. Damon Severson played in his 250th career game Saturday night. Tyrell Goulbourne played in his 200th career game last Wednesday. Cole Martin is playing in career game 200 tonight. The Kelowna Rockets simply ran into a hot goaltender. 17 year-old Ty Edmonds stood on his head Saturday night making 43 saves leading the Prince George to a 2-1 win on home ice. The Rockets dominated the first period but were unable to get one past Edmonds, who faced 14 shots in the opening 20 minutes alone. The only Rockets player to get one past Edmonds, who was playing in front of his parents during the Cougars 'parents weekend', was Rourke Chartier, who scored his 20th goal of the season with 1:11 remaining in the second period. While seeing their five game winning streak come to an end, the Rockets can't hang their heads after this one. This was a terrific up tempo game that on most nights would see them skating away with a victory. Edmonds was named the games first star for his solid effort. While at times unorthodox, the Winnipeg resident was the main reason why his team was able to win its 12th home game of the season. The Cougars scored the game winner after Todd Fiddler was able to keep a puck just inside the Rockets blue-line and found 16 year-old Jansen Harkins hiding behind the defence. Harkins received the pass and backhanded the puck through the legs of Jordon Cooke, who attempted to poke check it off Harkins stick. Cooke faced just 25 shots in the game, with no less than four long range clear ins. This was a terrific defensive effort by the Rockets, who were significantly better in all aspects of their game after a 4-2 win the night previous. The Cougars are a good team. They should frankly not be in the situation they are in right now, which is one point out of the final playoff spot in the Western Conference. If you think they are a weak sister in the WHL you are sadly mistaken. In fact, my belief they are every bit as good as the Tri City Americans if not better. They can score and work hard. Despite Edmonds heroics on Saturday, clearly the weak link is in goal. That is a crucial position where strength is needed to earn the final playoff spot in the Conference. That is the reason many people believe the Americans have the upper hand with Eric Comrie. 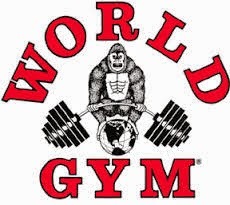 Rookie Dalton Yorke should be mentioned here for his two fight game. The 17 year-old scrapped with Zach Gonek in the first period and then re-introduced himself to the 17 year-old who has 16 fighting majors this season. Yorke has only 7 tilts yet proved to Gonek that it isn't the number of fighting majors that proves you are a worthy combatant. I sure like Marc McNulty. Somewhat isolated in Prince George, the lanky Cougars defenceman has 15 goals, which is 7 shy of the club record of 22. A 10th round bantam pick of the Cougars, the team hit a home run with the 6'6 blue liner. It marked only the third time this season the Rockets have managed one goal on the road. The team lost 3-1 in Victoria, 4-1 in Seattle and 2-1 in Prince George. Overall, the team has won six of seven games against the Cougars in the seasonal series. The two teams' close things off Tuesday night at Prospera Place before potentially meeting in round one in late March. As mentioned, a nice ceremony before puck drop in Prince George during parents weekend. The parents were all ushered onto the ice for a pre-game ceremony. Each parent was introduced and then the player of that parent skated towards them from the bench and presented their loved one with a flower. Nice touch. For the first time in franchise history the Kelowna Rockets were able to amass 100 or more points in back-to-back seasons. Ryan Olsen scored the game winner and Jackson Whistle made 35 saves in a 4-2 win Friday night in Prince George. The win, the Rockets 48th of the season, also earned them 100 points in the standings. The team accumulated 108 points last season. Jackson Whistle doesn't get a star in the building, but for me he was the best player on the visitors side. The 18 year-old made two massive saves on Todd Fiddler and Klarc Wilson in the first period to keep the game scoreless. Whistle then made a huge save on Cougars forward Zach Pochiro in the third period by getting a piece of the puck at the last second and deflecting it wide. After that save was made, Marek Tvrdon would go down and score giving the Rockets a 4-2 lead. Had Pochiro scored, the game would have been tied at three goals apiece. Ryan Olsen found the back of the net for his 27th goal of the season. Snake bitten as of late, Olsen has been in good scoring areas but hasn't had the ability to finish. Last night he out waited Cougars goaltender Adam Beukeboom before going high over his glove hand side. This was a fairly sloppy game to be honest with you. The Rockets played just good enough to win. I thought they gave up way to many quality chances in the game where Whistle had to come up large. I didn't think many forwards had much jump in the game either. Tyrell Goulbourne was the one skater that actually had consistent urgency in his game. I could count just one good hit the Rockets had all night and it came from their leading scorer Myles Bell. Damon Severson earned his 52nd point of the season which matches his career high of 52 points set last season. Riding a personal high 9 game point streak, Severson also snapped a 9 game goal scoring drought with his 13th of the year. The Rockets set a new franchise record last night with their 25th road win of the season. The previous record for road wins was 24 set back in 2003-2004. With six road games left the team can still break the WHL record for road wins but that means winning five of their last six to break the current mark of 29 set by the Portland Winterhawks last season. Justin Kirkland snapped a seven game goal scoring drought with his 13th of the season. It will be regarded as his ugliest goal considering his sharp angle shot was stopped by Beukeboom before it went off the skate of Cougars d-man Marc McNulty and into the net. 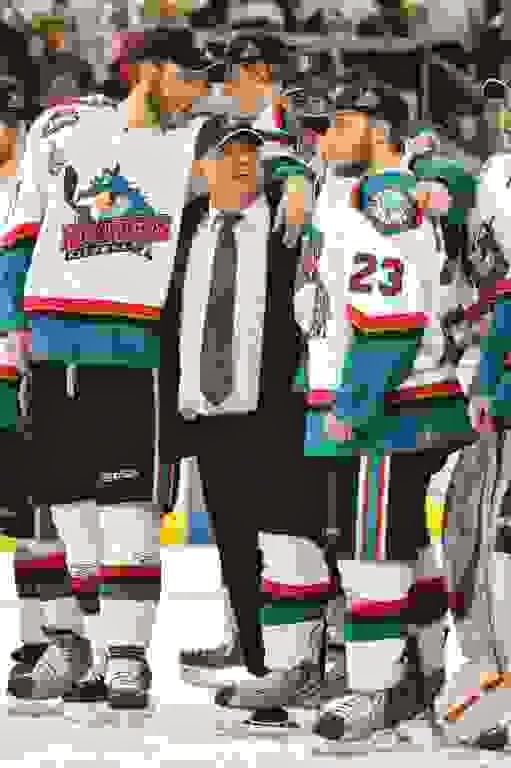 Who is responsible for Weber/Benn/Keith wearing Kelowna Rockets colours? It is unbelievable to think that Shea Weber, Duncan Keith and Jamie Benn were never drafted in the WHL Bantam draft. All three are now in the NHL and all three are a win away from helping Canada win gold at the 2014 Winter Olympics. 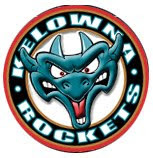 The trio were key players in helping the Kelowna Rockets win WHL titles in 2003-2005 and 2009 with Weber also being apart of the Memorial Cup winning team in 2004. 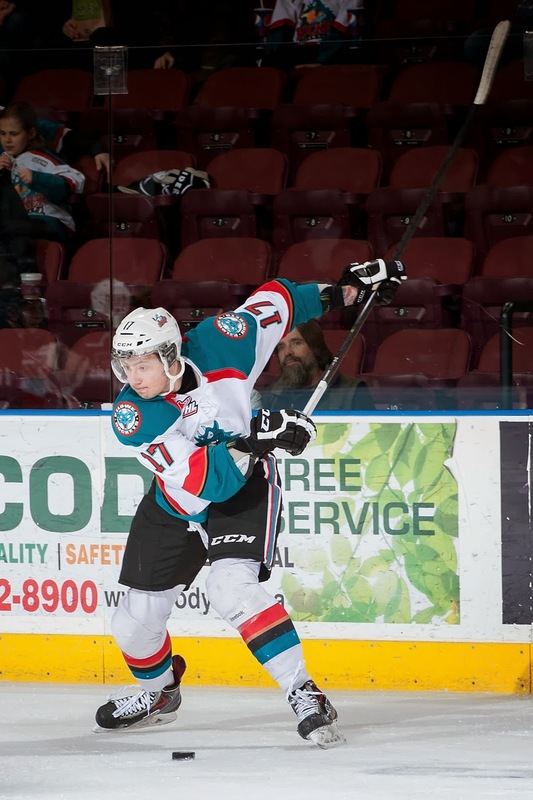 How did these three players land in the hands of the Kelowna Rockets? Director of Player Personnel Lorne Frey had a lot to do with it. Here is a portion of my interview with Frey Wednesday night. We will revisit the interview in our first intermission of tonight's game in Prince George because of its relevancy. "The year we listed him he was a 15 year-old playing in Sicamous with the bantams. I went to a game on the Westside (West Kelowna) and they were playing and we were looking at two other guys we had already drafted out of Sicamous. I’m watching and this number five defenceman looked pretty good. He was a smooth skater and moved the puck well but he wasn’t dynamic at that time. The following week they were back there again and I saw him (Weber) and we thought we would take a chance on this guy and listed him”. A season later Weber would play junior ‘B’ in Sicamous before earning a spot on the Rockets when he was 17. Tonight’s Preview: This could be a possible playoff preview tonight between the Kelowna Rockets and the Tri City Americans. If the playoffs were to begin tonight these two teams would meet in round one. This is only the second of four meetings between these two teams this season. The Rockets and Americans will see each other three times in the next 18 days including twice in a week. The Rockets are in Kennewick, Washington next Wednesday. 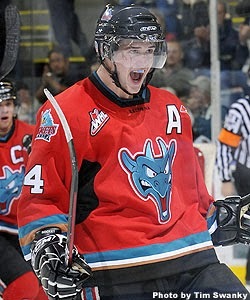 In the lone meeting of the season on November 22nd, in Tri City, the Rockets were a 4-1 winner. Madison Bowey scored twice while Jordon Cooke made 18 saves. Following tonight’s game the Rockets are in Prince George for back-to-back games this weekend. The Rockets then return to Prospera Place to host the Cougars on Tuesday. The Rockets will play their final 14 games in 24 nights. Jordon Cook’n it up: Veteran goaltender Jordon Cooke moved into sole possession of second place on the Kelowna Rockets all-time wins list among goaltenders in a 2-1 victory last Wednesday night in Spokane. Cooke earned his 84th career win, moving past Kelly Guard for second-all time in wins. Guard has 83 victories while Cooke now has 85 wins on his belt. The franchise leader is Adam Brown, who amassed 107 wins over his four year career. Who’s Hot: Damon Severson has points in eight of his last nine games and is riding a seven game point streak. 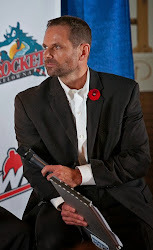 Severson has 11 assists over that period and is a + 7…The power play is 11 for 42 (27.5%) in its last nine games…Rourke Chartier has 7+9=16 in his last 17 games…Myles Bell has 17 goals in his last 20 games..The Rockets are 42-5-0-4 in their last 51 home games dating back to last season. Damon Severson will play in his 248th career game tonight – 2 shy of 250. Tyrell Goulbourne plays in his 200th career game tonight. Ryan Huska, according to HockeyDB, has 288 WHL regular season victories. Cole Martin is playing in career game 197 tonight – 3 shy of 200.